This picture pretty much sums up Megan's tolerance for me (and the things I do for "a joke"). 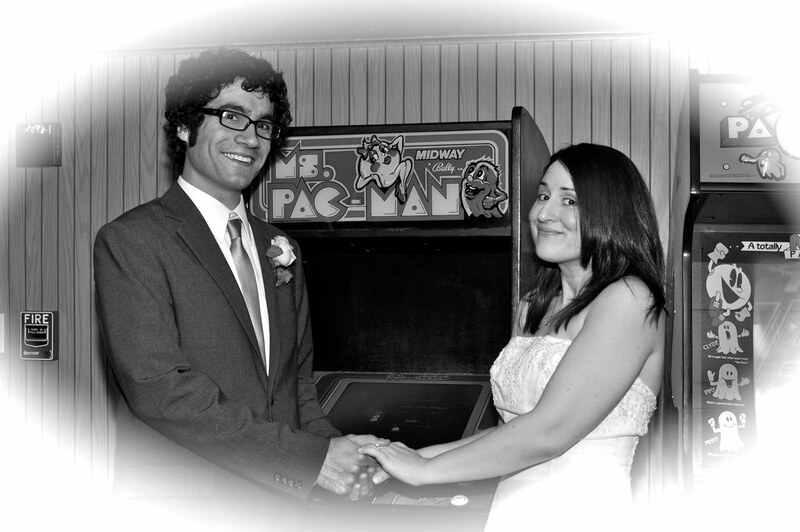 Our wedding was awesome, and in my defense this picture in particular came out hilarious. 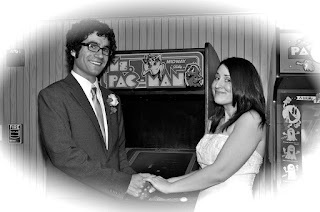 The only thing better would've been a picture of our photographer's face when I said, "Take our picture in the arcade." I should've followed it up with, "...naked." No, Dan, you shouldn't have followed up with naked. At least not you, way too hairy!